This piece of sea glass found on the shores of Saint Martin and has the usually pitted texture created by tumbling on the ocean's floor. Set in band of sterling silver that I stamped the bubbles. The bail is a silver ball with jump ring. 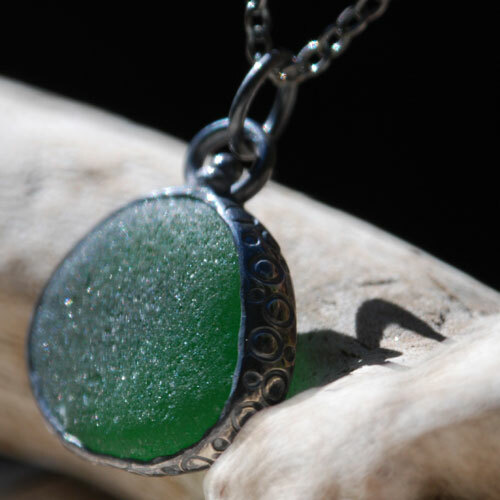 The handmade band bezel allows the light to luminate the sea glass. This fashionable 18" sterling silver chain with patina is included. This pendant measures 1"x 7/8 "x 1/4"